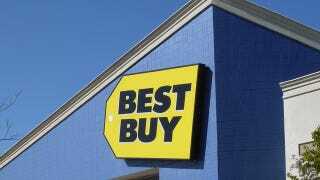 Best Buy released a too good to be true coupon earlier today: Spend a $100 and save $50 automatically when you pay with a MasterCard credit card. The fine print had excluded a few products but it was pretty much a free $50 bucks for everything else. So predictably people took advantage of ol' Best Buy and rung up thousands of dollars of Amazon.com and iTunes gift cards for half off, Apple TVs for $50, Kindle Paperwhites for cheap and anything they could find without any limits. There are other success stories like that too. An Apple TV for only 45 bucks. $2500 worth of gift cards for $1250, all done in small simple transactions. There's no better way to insult Best Buy than to use its extremely lenient $50 coupon to buy up as many $100 Amazon gift cards as you can.